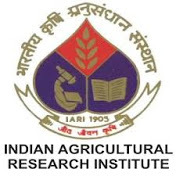 Walk-in interview for the position of SRF is scheduled to be held on the designated date and time mentioned in Committee Room, Division of Plant Physiology, ICAR-Indian Agricultural Research Institute, Pusa Campus, New Delhi – 110 012. Post Graduate degree in Botany/Life Sciences/ Biotechnology or allied discipline with NET qualification & two years of relevant experience. Experience in gene expression studies in plants and knowledge of bioinformatics tools will be preferred. 10.01.2018 10.00 a.m. onwards 09.30 a.m. to 11.30 a.m.